For a couple years now, the thought of natural living has intrigued me. It started with organic food, then learning about dangerous chemicals that pervade not only our food, but our clothing, cosmetics and many other household items. In reading The Unveiled Wife last fall, I learned about the danger that parabens pose to female reproductive systems. Through reading The Honest Life, I learned that the FDA (Food and Drug Administration) does not regulate the bulk of what goes into products that we use every single day. Many of these chemicals that we unknowingly ingest are harmful to our bodies and are illegal in other countries. Y'all, this crazy scary, and it is serious business. I used to believe that being green was a hippie-dippy-trippy thing. You know, for like tree-huggers and such? Well, if caring about my body and wanting to take care of what God has given me to steward makes me a tree-hugger, so be it. I believe that it is not only important to take care of ourselves, but to also take care of the world around us. We only have one body, and we only have one earth. God took the time to create us with a purpose, and I believe He wants the best for us. All that being said, I have been on a bit of a journey in the last year to remake our home and our lives and foster a more natural approach. It started with my makeup: I researched the products I was using, and they were horrible. So out the window went most of the makeup bag, and instead I am using products without a bunch of junk. Next came hair products, then cleaning products, and of course food and diet, too. I've found that when I pay attention to what I am putting on or in my body, I feel better and know that I'm doing my part. Essential oils are something that kept coming up in my reading and various social media platforms. I had heard about them for quite some time and had friends who were definitely into them, but I just didn't know much about them and was kind of weirded out by them. As a child of pharmacists, I grew up taking medicine for ailments and was very unfamiliar with natural treatments. I began to discover, however, that God has given us a lot of things within His creation that can be used to help us emotionally, physically, and spiritually- holistically, if you will. In the past couple years, I have read a lot about them and learned about how they can help in so many ways- chemical free homes, alternative medicine, etc. Rory and I have been talking for a while about trying to make our home chemical free and pursue a more natural lifestyle. After hearing about the power of essential oils from friends on our beach trip in July, I was more convinced since it was someone I knew in the flesh. 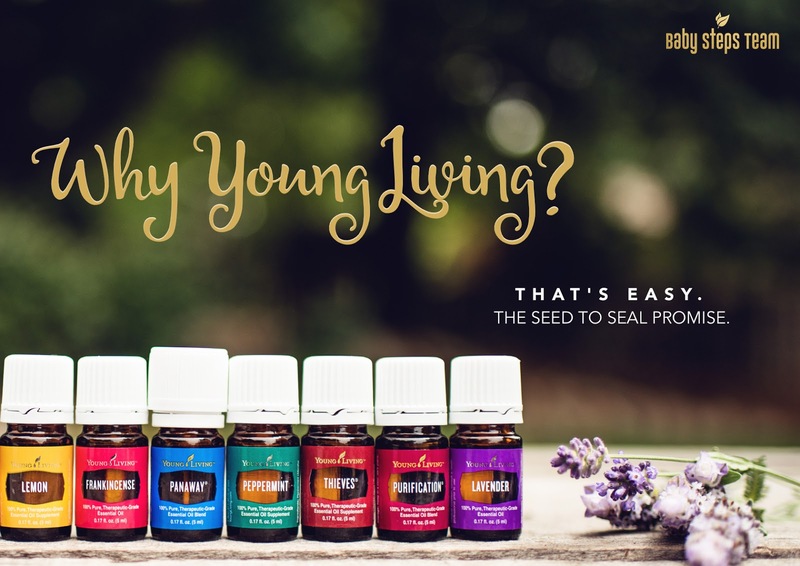 We talked about building the money for a starter kit through Young Living, and then in August, I took the plunge and clicked buy! I chose Young Living because I knew people that already used them, and I learned that the essential oils that you buy at the drugstore are not as pure. They often have yucky additives, which takes away from the whole point of trying to live naturally! Y'all, the ten or so days I waited for my kit to come from Utah were tortuous! I was so excited about all of the fun things I would try with my kit and couldn't wait to dig in to it. The whole process has been very enlightening but at times overwhelming. There has been a whole team of women who have been able to answer questions for me, and the girl I bought from actually sent me a personal thank you note and a little care package with a free roller in the mail! I was blown away by that personal touch and super grateful for her kindness. 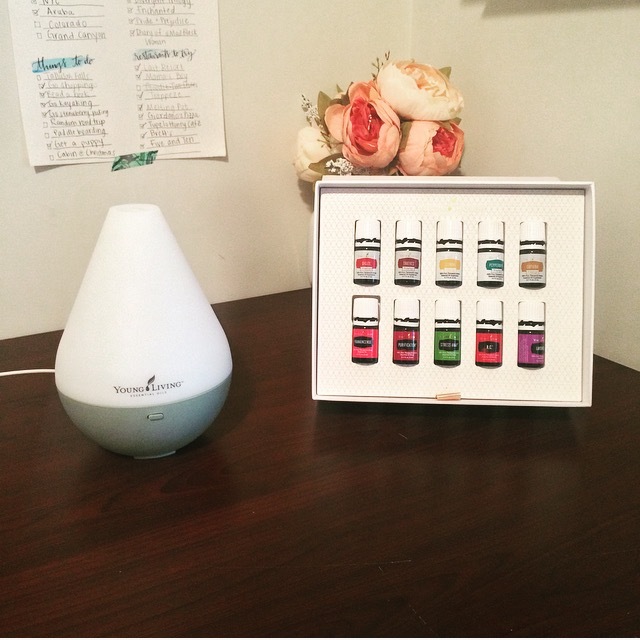 The past few weeks, I have been learning so much about all of the uses of essential oils and am really excited to tell everyone I know about them. I know, I know, I drank the Kool-Aid. But y'all, these little bottles of plant juice are incredible. One or two drops goes a long way, and headaches have vanished, I've had an easier time falling asleep, and our home just smells good. I love these things and can't wait to continue to expand my collection. If you want more information about oils, shoot me an email at jess56@gmail.com, or leave a comment below! I would love to tell you more. You can get your own premium starter kit at this link, and this month, each starter kit comes with a free Thieves laundry detergent! Pretty wonderful bonus there. Each Friday, I will be featuring a specific oil and talking about its uses and what makes it awesome. Can't wait for you to join me!